With more than 5,000 Coolsculpting treatments completed in Las Vegas, Secret Body is among only a handful of CoolSculpting practices in the nation to achieve this Diamond Crystal status Award. Las Vegas, NV, March 12, 2019 --(PR.com)-- When you specialize in one thing, the likelihood is that you can do it better than pretty much anyone else. Such is certainly the case for Secret Body, Las Vegas' leading CoolSculpting practice. Specializing in CoolSculpting, and with 5,000 treatments completed by the staff, they have clearly distinguished themselves among the best. And the company agrees, recognizing the practice as a Diamond Crystal Practice five quarters in a row, the highest level in Crystal Rewards, a program that acknowledges the most successful CoolSculpting practices. With multiple systems to treat more than one area at once and with their complete suite of applicators to treat different parts of the body, Secret Body is committed to offering its patients the ideal Las Vegas CoolSculpting experience. 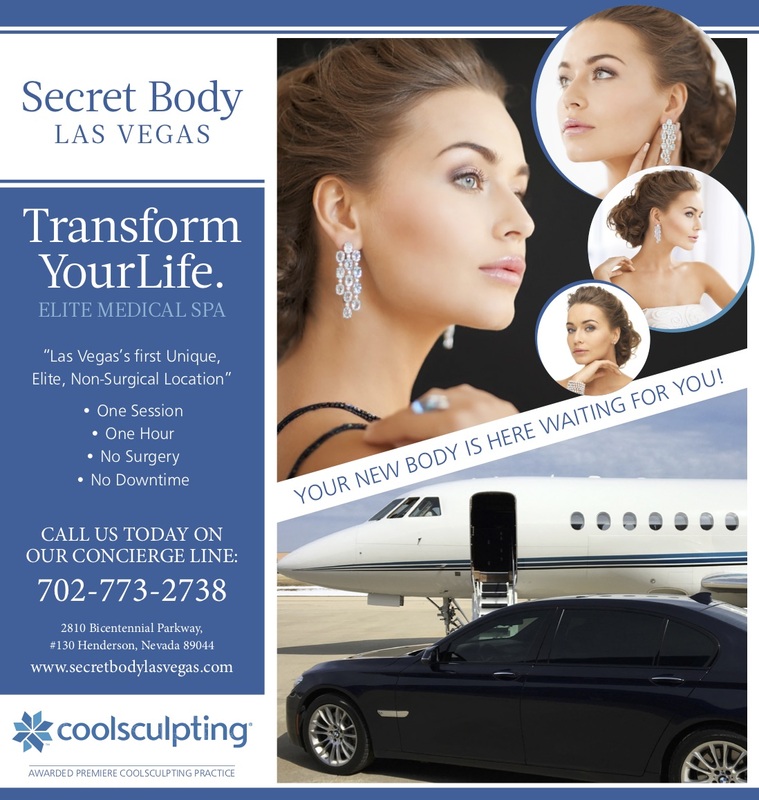 Throughout the Las Vegas, Summerlin, and Henderson area, Secret Body maintains its clear leadership in the Coolsculpting industry in Las Vegas, by offering a unique luxury experience with exclusive specialized treatment plans. 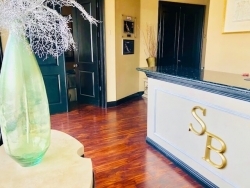 Secret Body Las Vegas is a little bit of a secret, rarely doing any advertising, most of their clients are referred from the Four Seasons and/or from word of mouth. CoolSculpting Las Vegas is a safe, non-invasive, FDA-cleared treatment for fat loss in hard-to-lose areas, such as the waist, abdomen, inner and outer thighs, and under the chin. Fat cells are targeted and frozen with a cooling technology. The frozen fat cells are then naturally eliminated from the body. More than seven million CoolSculpting treatments have been provided worldwide with proven results. “It's a privilege to be awarded the Diamond Crystal Award from Allergan for the Fifth quarter,” shared Kate Robertson Secret Body's manager. "The reason for our success is no secret. It's the Golden Rule – the simple idea that we should treat others the way we would want to be treated. We are honored to be recognized and awarded by Allergan with the Club 5,000 award. We like being a little bit of a hidden Secret, we do not do a lot of advertising, most of our clients are referral based, word of mouth or recommended by the Four Seasons," says Kate Robertson. Secret Body has been consistent at staying at Diamond Level status and has also gone thru extra training to be a Coolsculpting Certified Practice with the whole staff also being Coolsculpting Certified. Established in 2013.Specializing in Las Vegas Coolsculpting, Laser Lipo, cellulite treatments, laser hair removal, skin rejuvenation, and other plastic surgery alternatives.Secret Body is among a handful of CoolSculpting practices in the nation to achieve this Diamond Crystal status. Our luxury medical spa is 100% non-surgical specializing in body contouring, Laser Lipo, cellulite treatments, laser hair removal, skin rejuvenation, microdermabrasion, chemical peels, wrinkle reduction, and skin resurfacing.